Liberty Square and The Ex-President - Absolute Tours Blog: Walking tours, Private & Specialty Tours and more! 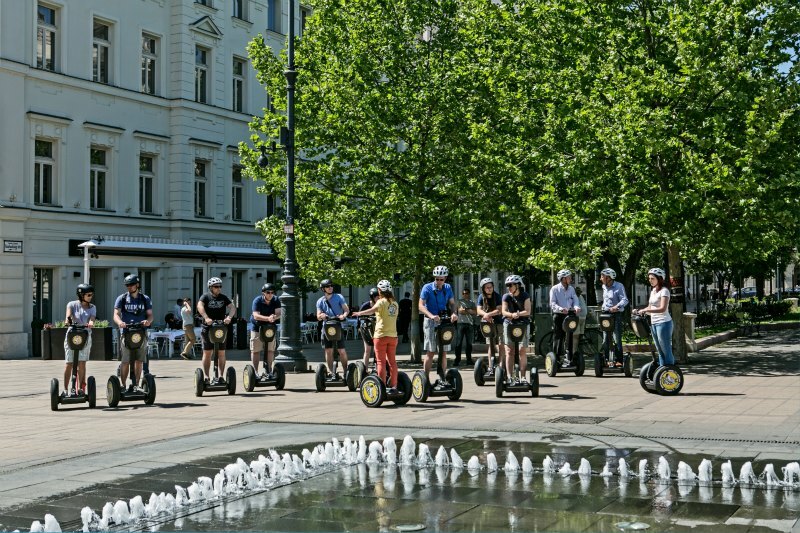 Let’s see…things you see on and around Liberty Square (Szabadság tér). 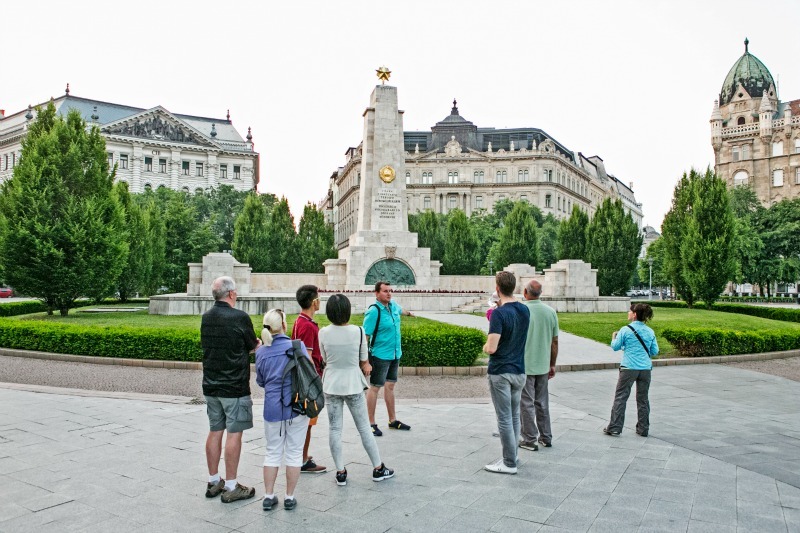 These include the huge red star monument to the soviet soldiers that fell while liberating Hungary. The American Embassy and a huge and grandiose white building that housed first the Hungarian stock exchange. Also the Hungarian National TV headquarters, though there are plans afoot to turn it into a Stock Exchange complex once more. This is actually the heart of the financial district. There are 5 banks adjoining the square, including the Hungarian National Bank. A massive edifice on the Southwest side of the square with a covering of relief art depicting economics and prosperity. The best stuff by architect Ignác Álpár is actually out of sight within the high-security building. Lots of carved bees crawling over stone honeycombs in the columns and walls, symbolizing the sweet results of hard work. 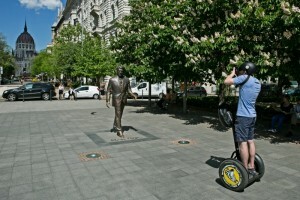 The most famous statue of an American president in Budapest. Our Hidden Budapest and Hammer and Sickle tours, as well as several Segway tours, include some information about an unusual statue found here. An American ex-President, no less. Learn more about it on the tour or in this Washington Post story. One thing you cannot see is the Neugebaude, an ancient Habsburg barracks complex that covered much of this square from 1789-1886. It was here the leaders of the 1849 revolution and civil war were detained and eventually executed, after the the rebels lost. They had been doing pretty well until Tsar Ivan I came to the imperialist’s aid and marched into Budapest with 300,000 soldiers. One of those executed was Lajos Batthány, Hungary’s first prime minister. His end was not really fitting, as he was under the influence of drugs, presumably to restrict his struggles after failing in a suicide attempt. Even though he could not stand, they ended up executing him by firing squad.. His monument is an eternal, but dimly-glowing lantern, on the corner of Hold utca and Báthory utca. Opening hours: Most visitors just view the park area and view the free wall art on the National Bank. Best time to see it: Early in the morning, around 8, the areas is awash in pinstripe as “the suits” arrive!